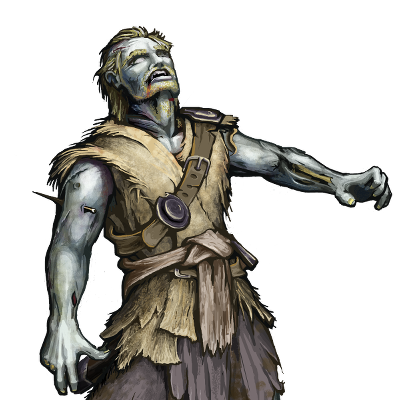 Walking Corpses are the bodies of the dead, re-animated by dark magic. Though not especially dangerous to a trained soldier, the sight of one’s former comrades amongst their number is frightening to say the least. Special Notes: Foes who lose their life to the plague will rise again in unlife, unless they are standing on a village.